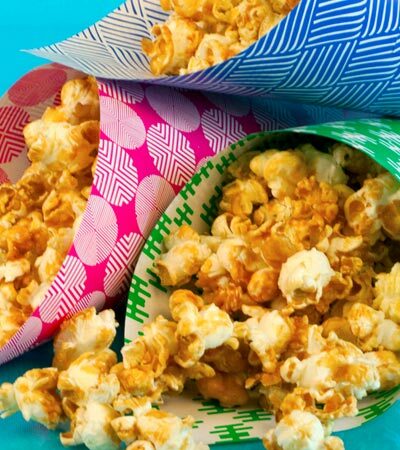 An easy to make, low-fat vegan caramel popcorn recipe. Feel free to add your favorite nuts. Want to know what others thought about this recipe? Would you like to comment on this recipe? Go to the Salted Caramel Popcorn blog entry. First pop the popcorn in an air popcorn popper into a large mixing bowl that will fit 11 cups of popped popcorn. After the popcorn has popped spritz the top of the popcorn with oil for a second and sprinkle with salt. Shake the popcorn around and repeat this process twice more. Set popcorn aside and preheat oven to 275 degrees. Next, in a small sauce pan place all of the caramel sauce ingredients and place on medium heat and stir constantly for 5 minutes or until the butter melts completely. The caramel sauce will be pourable, don't be alarmed that it's not a thick caramel, it crisps up perfectly in the oven. Lay a piece of parchment paper on a 12 X 17 inch aluminum cookie sheet or spray it with oil if you don't have parchment paper. Oil will work but the caramel and some popcorn will stick. So be prepared to scrape a little if you use oil. 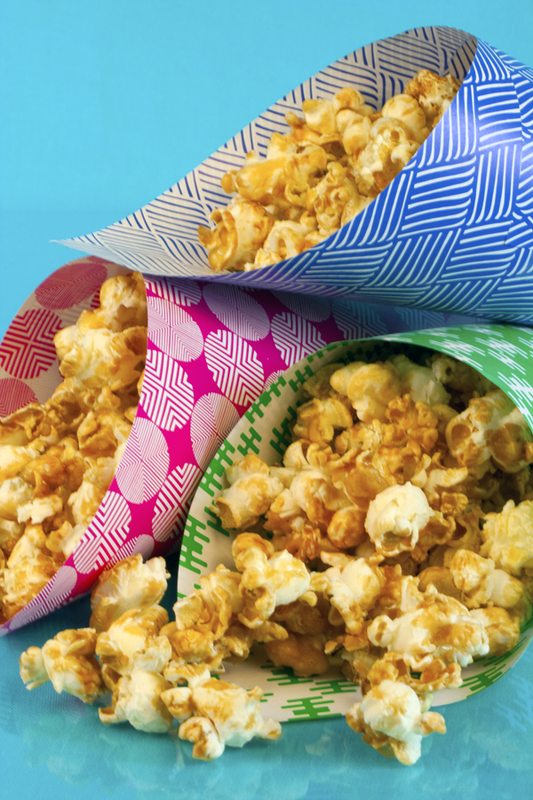 Take the mixing bowl of popped popcorn and gingerly drizzle small spoon fulls of the caramel sauce over the popcorn and stir together, making sure to coat as much of the popcorn with it as possible. Now place evenly on the cookie sheet and place in the oven. Bake 15 minutes and then take out and turn over with a spatula and spread evenly back onto the pan and cook an additional 10 minutes. Take out of oven and let cool completely before serving. When you take it out of the oven, it's possible that the caramel will still be a bit sticky but will crisp up after it cools.